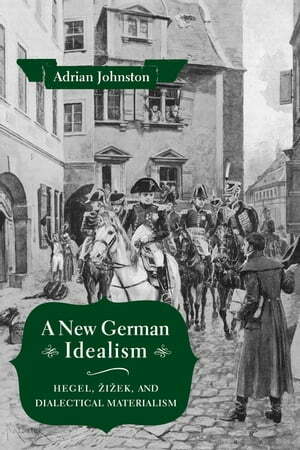 Collins Booksellers - A New German Idealism by Adrian Johnston, 9780231545242. Buy this book online. In 2012, philosopher and public intellectual Slavoj Žižek published what arguably is his magnum opus, the one-thousand-page tome Less Than Nothing: Hegel and the Shadow of Dialectical Materialism. A sizable sequel appeared in 2014, Absolute Recoil: Towards a New Foundation of Dialectical Materialism. In these two books, Žižek returns to the German idealist G. W. F. Hegel in order to forge a new materialism for the twenty-first century. Žižek’s reinvention of Hegelian dialectics explores perennial and contemporary concerns: humanity’s relations with nature, the place of human freedom, the limits of rationality, the roles of spirituality and religion, and the prospects for radical sociopolitical change. In A New German Idealism, Adrian Johnston offers a first-of-its-kind sustained critical response to Less Than Nothing and Absolute Recoil. Johnston, a leading authority on and interlocutor of Žižek, assesses the recent return to Hegel against the backdrop of Kantian and post-Kantian German idealism. He also presents alternate reconstructions of Hegel’s positions that differ in important respects from Žižek’s version of dialectical materialism. In particular, Johnston criticizes Žižek’s deviations from the secular naturalism and Enlightenment optimism of his chosen sources of inspiration: not only Hegel, but Karl Marx and Sigmund Freud too. In response, Johnston develops what he calls transcendental materialism, an antireductive and leftist materialism capable of preserving and advancing the core legacies of the Hegelian, Marxian, and Freudian traditions central to Žižek.